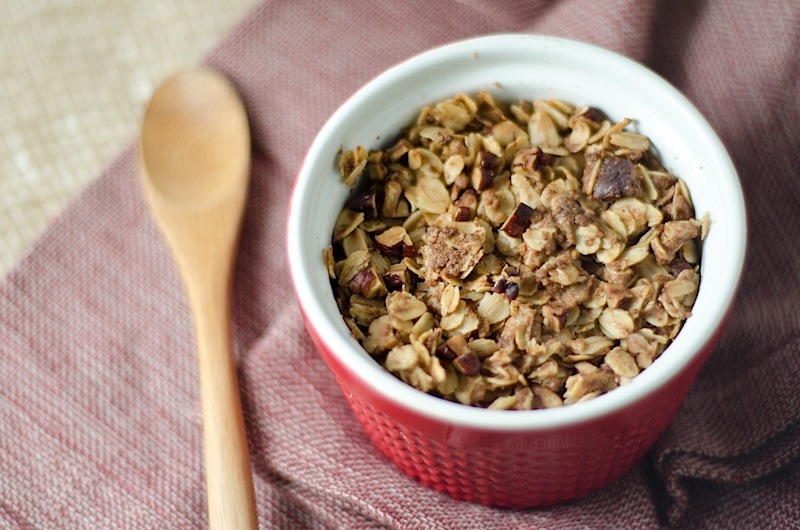 That’s right…you can eat this Individual Apple Cinnamon Crisp Recipe for dessert…or breakfast! 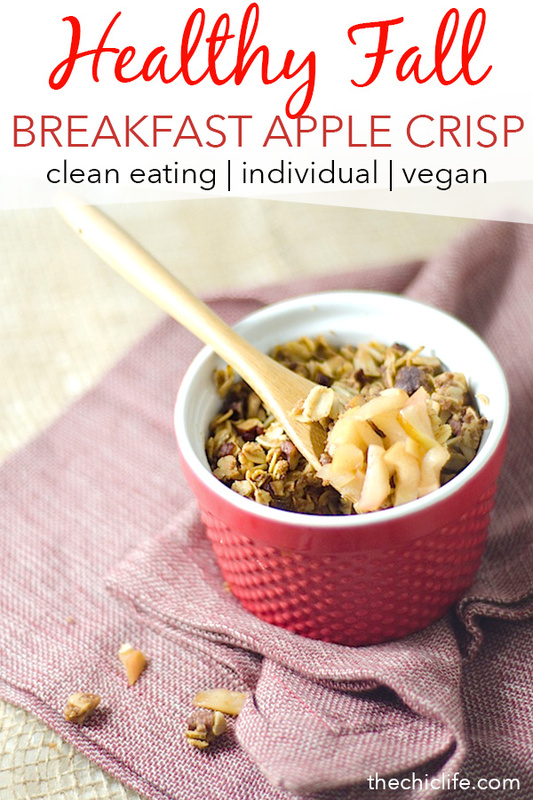 I based this recipe off of my other Individual Breakfast Crisp recipes (like this one). 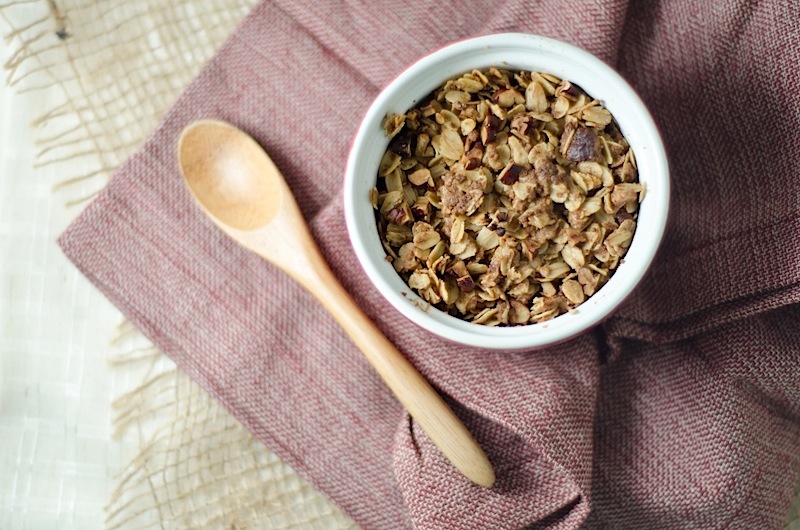 For those not familiar, basically, I created a crisp recipe that’s lighter than the traditional crisp with a higher oats to fruit proportion for more whole grains…and because I like the topping part of crisps. 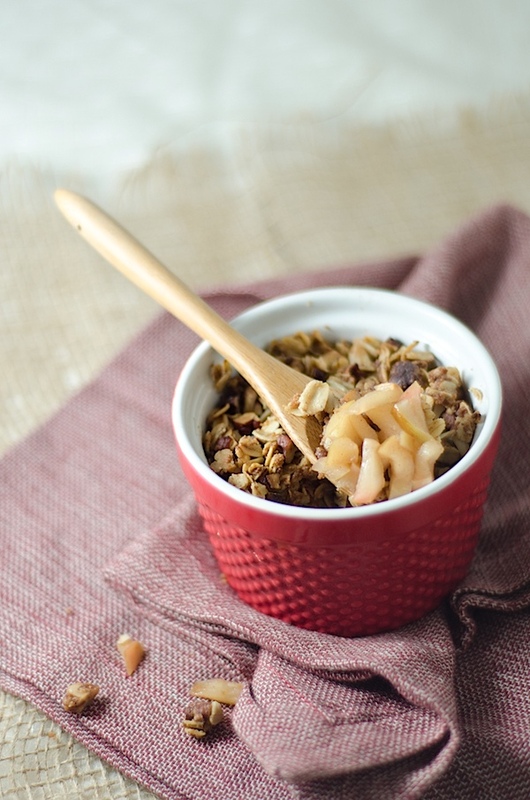 I was inspired by our recent trip to the apple orchard to re-create the breakfast crisp with fresh-picked apples. The result was perfection. I’ve eaten this three times this week already, and I’m thinking this will be a breakfast/dessert that I enjoy year round since apples are so easy to find in the grocery store, even when they’re not in season locally. Did I mention that this only takes one bowl to mix up? Comes together in about 5 minutes? And is ready in about 20-25 minutes? 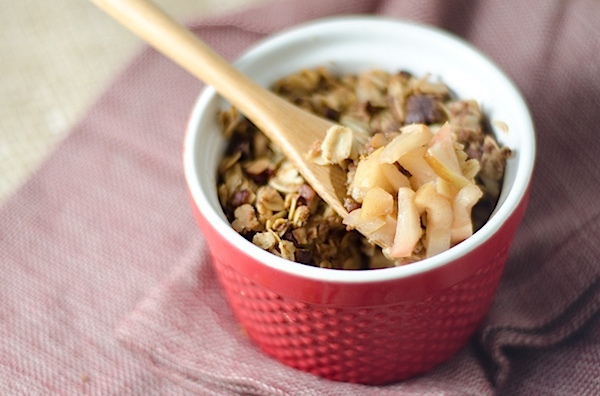 This lightened up apple crisp can be enjoyed for dessert and breakfast. One very small apple will yield just enough apple pieces for a single serving. If you have a large apple, then you should be able to make two. I usually stuff my baking dishes pretty full since they’ll shrink a little. If you’re feeling lazy, this is a great dessert because it’s so easy and you can use just one bowl to mix everything up. This really is an easy, instant-gratification type of dessert that you can feel pretty awesome about enjoying. Pre-heat oven to 350 degrees F. Prepare baking dish (I use a 4″ round ramekin) by brushing the inside lightly with oil. 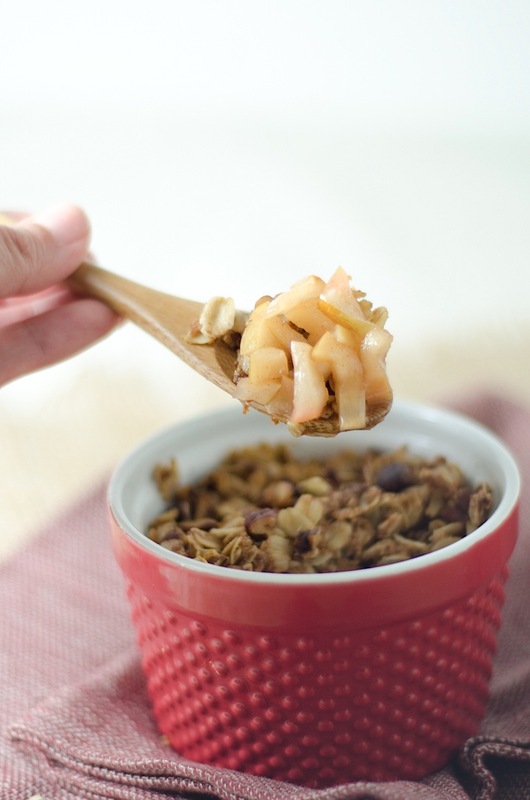 In a medium bowl, combine chopped apples and cornstarch and mix until cornstarch is evenly distributed. Pour apple mixture into prepared ramekin. In same bowl (if you’re feeling lazy, but feel free to use a new one), add oats, pecans, flour, sucanat/sugar if using, salt, and cinnamon. Stir to combine. Mix in canola oil until evenly distributed. Pour topping over apple mixture in ramekin. If using butter, put a couple tiny bits of butter on top of the oat mixture. Bake 22-26 minutes, until apples are tender to your liking. Remove from oven and let rest until safe to eat. Enjoy! Serves 1: you can easily multiply to make additional single serve crisps, but I don’t recommend multiplying ingredients to make one large crisp since the topping to apple proportions are so high. Note: I usually skip the butter because I want my dessert fast! and this adds a bit of flavor, but sometimes not enough to slow me down. Hope you like this Individual Apple Cinnamon Crisp for Dessert or Breakfast Recipe. Happy baking! 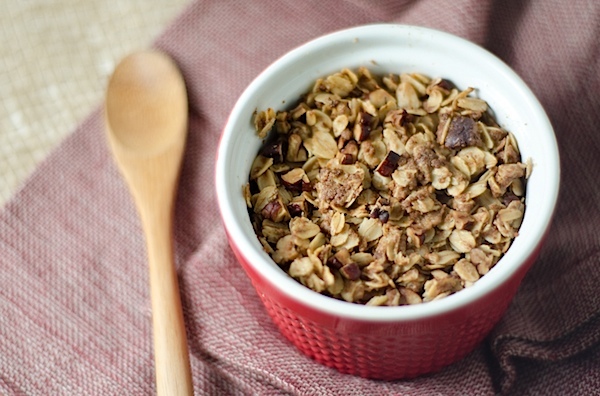 Reader question: Would you rather eat this Individual Apple Cinnamon Crisp for breakfast or dessert? And I made this shareable graphic for you! Yum Diana!!! I am so excited to try this recipe!!! I love apples. Hey Dana! Did you get to try the recipe yet? What did you think? Hope you like it, Bettie! Let me know what you think!